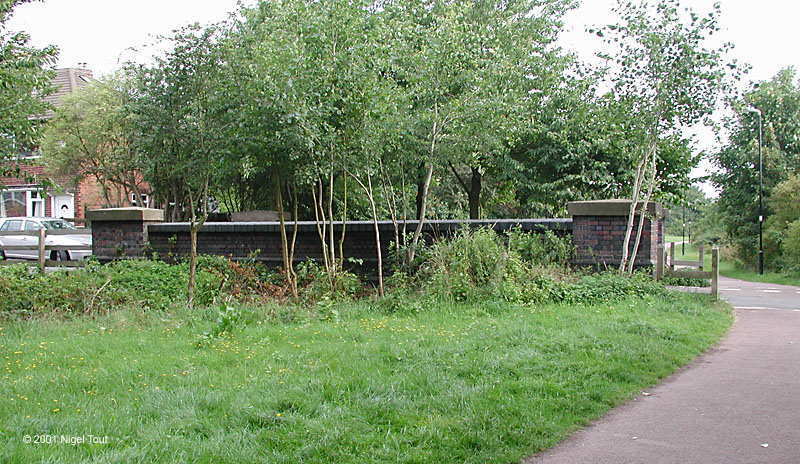 This section covers the line from south of the goods yard, across Aylestone Meadows towards the city boundary. The Great Central Way follows the whole of the track bed here. 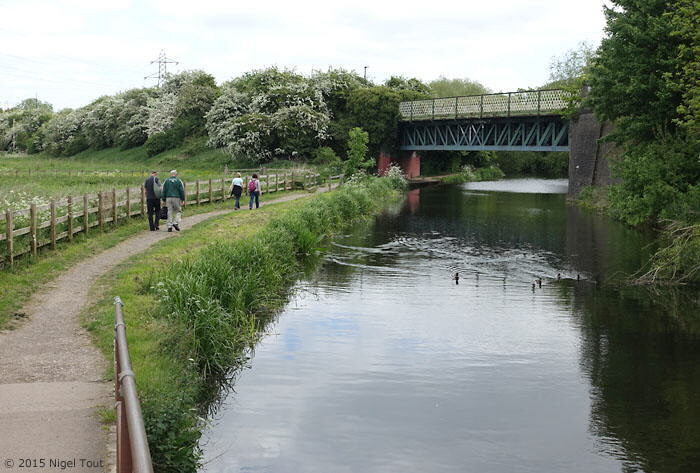 The first few hundred yards is over filled in cutting, but most of the route is on a high embankment over the low lying Aylestone Meadows around the River Soar. 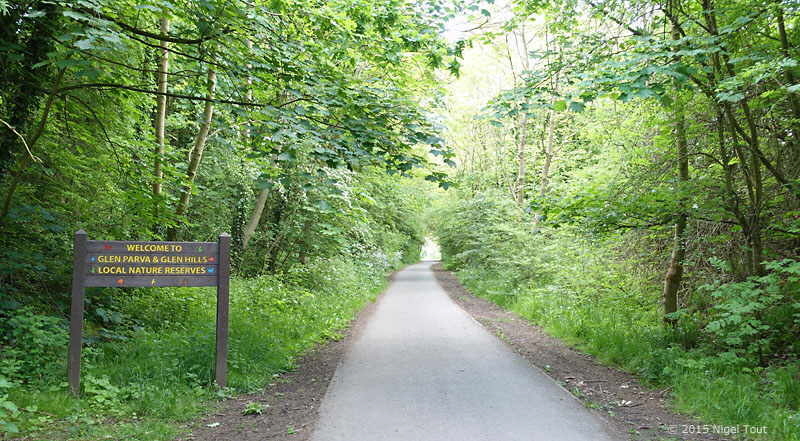 Many footpaths have been opened across the fields in this area since the closure of the Great Central and many link up with the Great Central Way which is now very popular with dog walkers, joggers, cyclists, and horse riders. 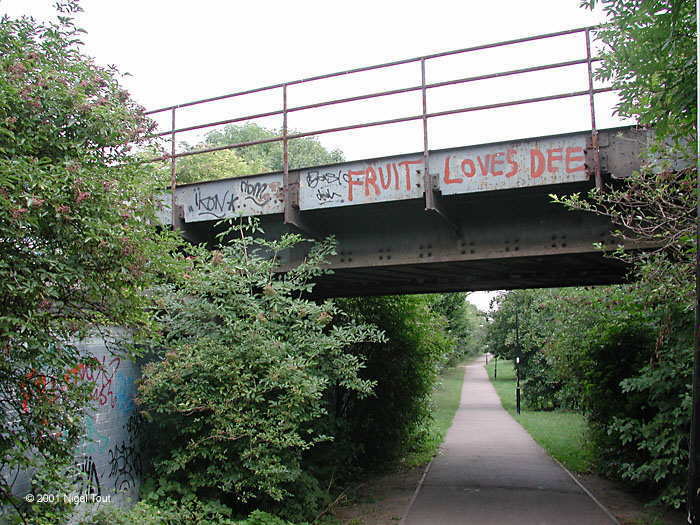 At nearly every bridge over road, track way, canal, or river there is a path or steps down. Past concerns about security have been addressed by the installation of several CCTV cameras and the route is well maintained, though the vegetation flourishes. 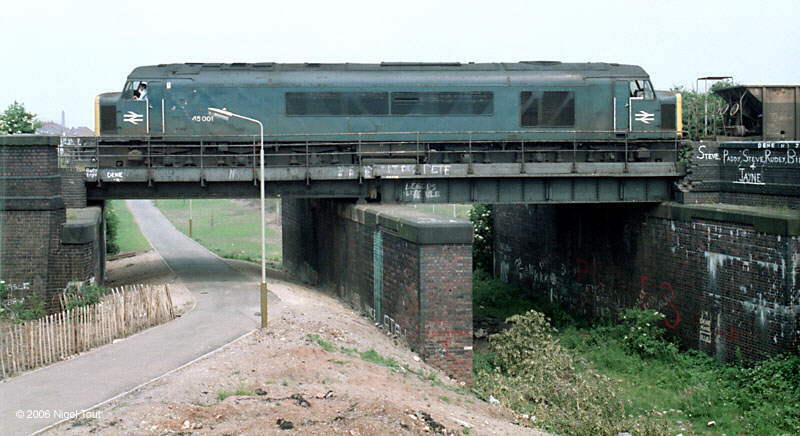 Looking north along the Great Central Way underneath the bridge carrying the Leicester to Burton line. Behind the photographer the Great Central track entered a cutting which is now filled in. 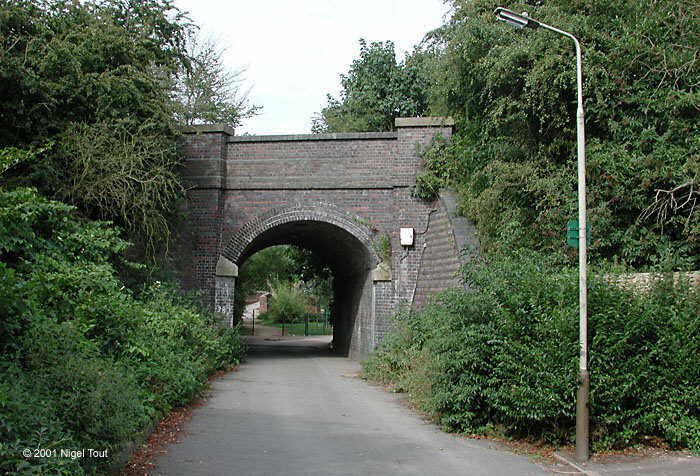 The footpath rises steeply here and and passes round a small industrial estate which has been built over the track bed. For comparison with the previous photograph, this is the same scene in 1985 when the Great Central Way footpath had not long been completed and before the shrubbery had taken over. This is 1-Co-Co-1 “Peak” class 45 001 heading north on the ex-Midland Railway Leicester to Burton line with a train of ballast empties for one of the granite quarries. The small industrial estate over the filled in cutting at Wolverton Road. The track bed lies underneath the road and the buildings on the left, looking north. 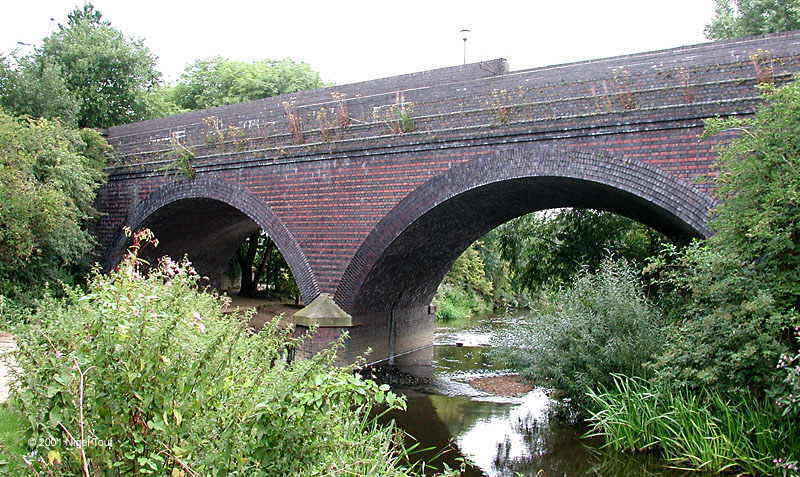 The bridges were simply left in place round here when the cutting was filled in, as here at Evelyn Road. The Great Central Way is popular, especially with dog walkers. 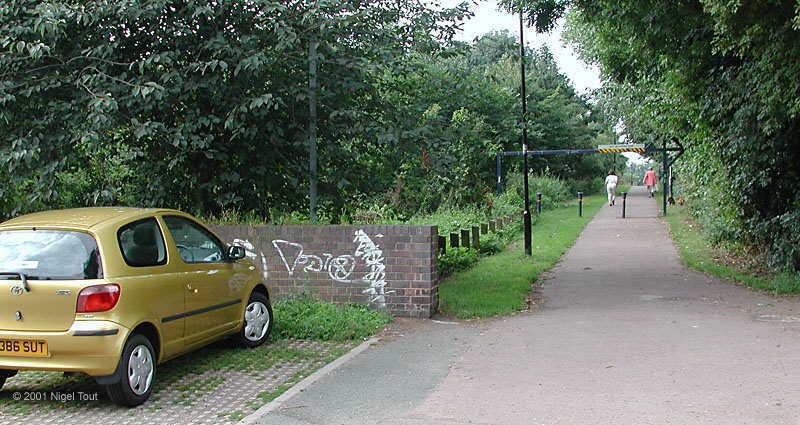 At this bridge off Evesham Drive there is a small parking area. The map linked to is a large scale street map which unfortunately does not show the route of the disused railway. However, to see an aerial photograph of the area covered by the map click on the “Aerial” tab at the bottom left of the map. When finished with Google Maps click on the browser “Back” button till you return here. 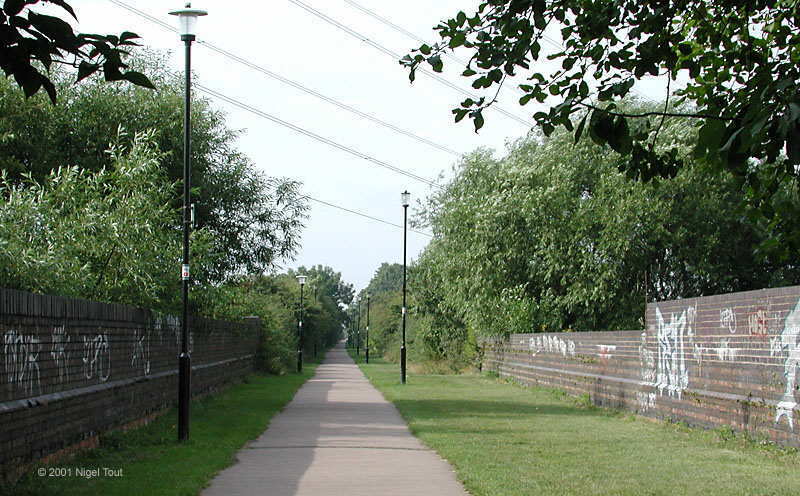 The track bed is dead straight across Aylestone Meadows, as can be seen here at the bridge over the River Soar, looking south. 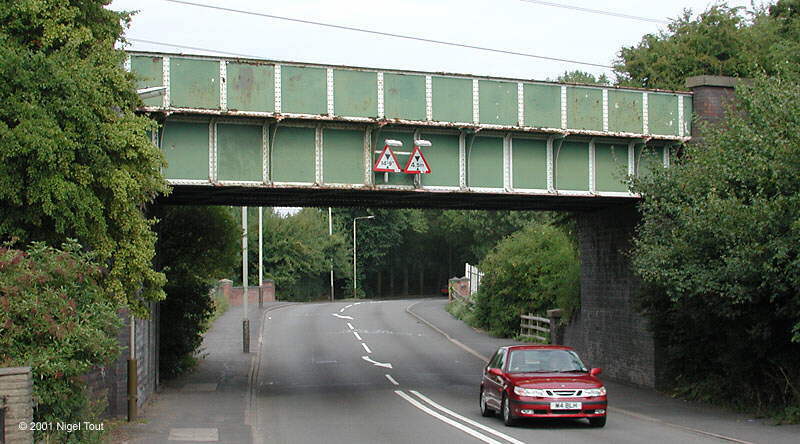 The bridge across Braunstone Lane East, looking south. Down on Braunstone Lane East. 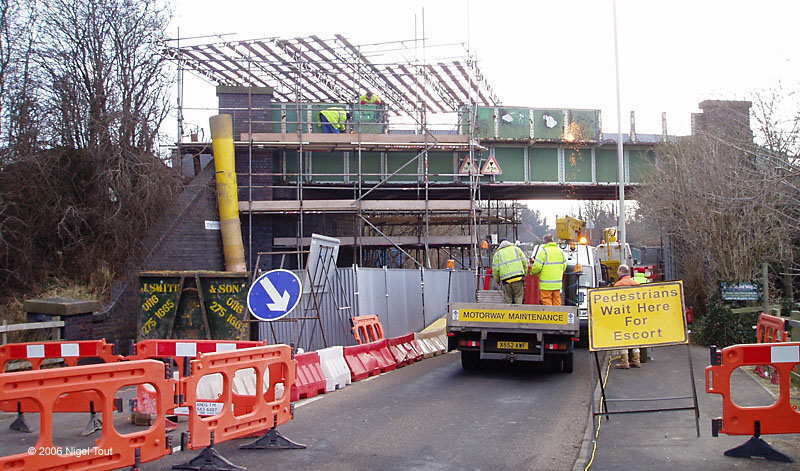 In March 2006 the bridge carrying the Great Central Way over Braunstone Lane East is undergoing repairs. On weekdays there was a single lane open controlled by traffic lights, but the road had to be closed completely for several weekends for the work to continue. 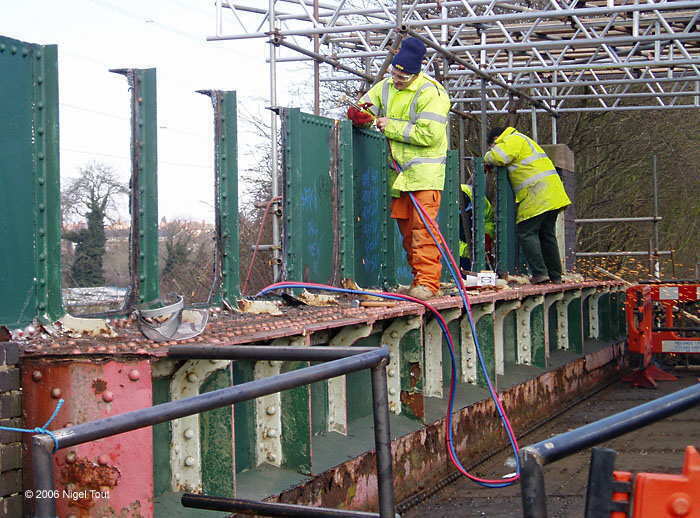 Quite drastic repair work taking place on the sides of the bridge over Braunstone Lane East. 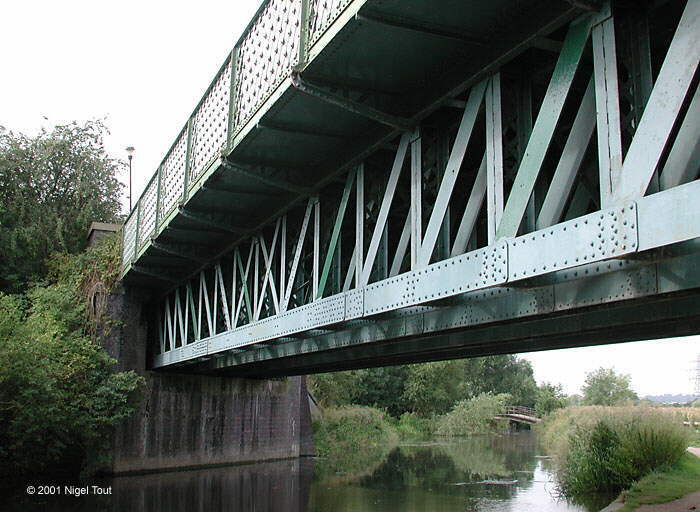 Bridge over the Grand Union Canal, which has finally separated from the River Soar, looking south. Underneath the bridge over the Grand Union Canal, from the east. The riveted method of construction is well worth examining. The site of a well-known photograph by Horace Gamble of lads fishing while a Black Five heads south with a passenger train. Bridge at the end of Marsden Lane, leading to a small car park for walkers, and steps up to the Great Central Way. 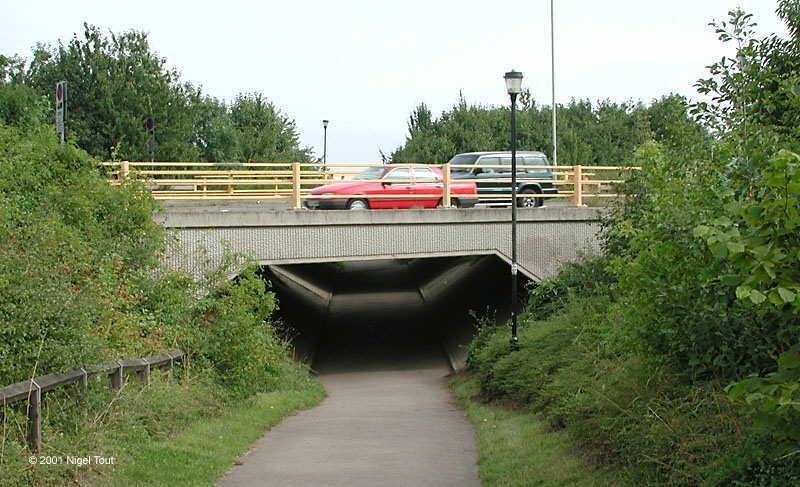 The Great Central Way dips down to go under the new Soar Valley Way, which is the Outer Ring Road, here looking north. The Great Central Way continues a little further south, and enters local nature reserves, where there is little of railway interest.